I have been struggling between the obligations of work and the attractions of Denver. On Friday, I weakened and took most of the day off to join Eleanor and Emma at the Denver Museum of Nature and Science. They had an exhibit called “Grossology” that Emma desperately wanted to see. 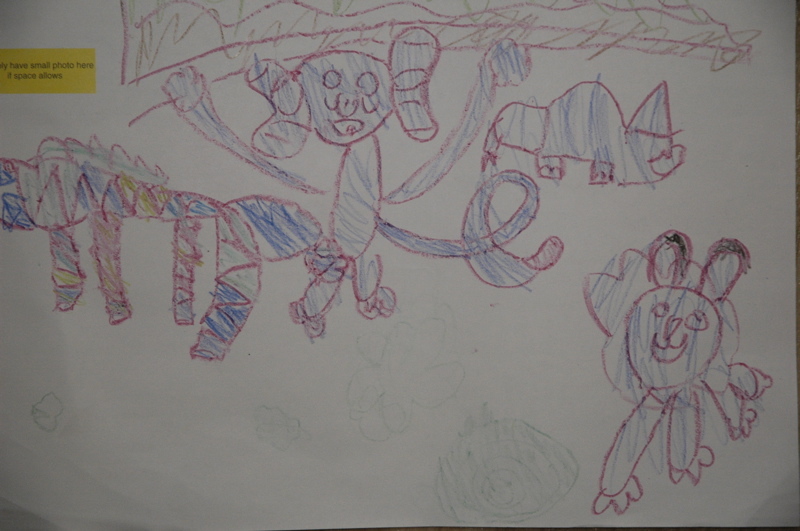 As you can imagine, it was all about snot, burping, farting, and other fun stuff. Here I am standing explaining the function of intestines, by a sign that says, “Why does my body make pee?” Gee, why didn’t they have this sort of fun when I was a kid? The Museum has much more to offer, and we found ourselves entranced by terrific exhibits of Coloradoan wildlife, as well as creatures from other parts of the world, a Native American exhibit, a gemstone exhibit, and a space exhibit. Well worth the visit! Unfortunately taking the day off meant working all evening, and again this morning in a desperate effort to get ahead before we take off next week for more travel. We’ll be in Utah and Nevada most of the week and I won’t be taking a lot of time to work. My next catch-up period will be when we arrive at Velocity7 in Nevada City, CA (see the Schedule page for details). Forrest McClure dropped by this morning to deliver an article and pictures for the Winter magazine, and then it was time to head out to pick up Fred Coldwell and head over to Boulder. Our first stop was the Celestial Seasonings factory for their tour. That was a HUGE hit with Eleanor. Fred, Emma, and I all enjoyed the free samples in their entrance area. You haven’t lived until you’ve visited the notorious MINT ROOM. Another recommended place to visit, and free! …and so here we are at midnight catching up on blogging. The best laid plans”¦ We have been trying to go to the Denver Zoo for a week and it looks like we just won’t make it. The first time I intended to take Emma to the zoo, traffic was so awful, we would not have been able to arrive at the zoo with enough time to see much of anything. I bagged the idea of going to the zoo and opted for Hammond’s Candies factory tour instead. That was a mistake too. It took us 70 minutes to travel less than 15 miles. We missed the last tour by 10 minutes. However, we managed to spend an hour in the candy shop. Tuesday was slotted for the aquarium. We went and had a great time. We got to pet Sting Rays!! I’ll ask Emma to blog that one. Thursday, Emma slept until 11AM ““ when I finally woke her up. She has been battling a bit of a cold and the sleep was well needed. However, the zoo closes at 4PM. Taking the time we need to get out the door and traffic conditions into consideration, once again, we wouldn’t have had much time to spend at the zoo. Today, I promised to take her to the Denver Museum of Nature & Science for the Grossology exhibit, and our weekend is already booked. Thursday was one of those off-schedule days where I end up working early in the morning and late at night to make up for doing other things all day. Fred Coldwell called to say the Fall 05 issues of Airstream Life had arrived FedEx at his house, and after we finally got Emma out of bed at about 11 (!) we headed over. Fred is a collector of Jeep, Airstream and related memorabilia and historical items, so the tour of his house and garages took a couple of hours. He’s got an incredible collection of stuff, including a ’48 Wee Wind, a 62? Globetrotter, a ’51 Clipper, and several rare wartime Jeeps. He also collects a certain type of wool blanket with national park emblems on them. Meanwhile, Eleanor and Emma headed off to a nearby laundromat to catch up on that chore, and later Fred and I showed up with lunch. So we all had lunch at the laundromat to the background of 70’s disco blasting out of the loudspeakers. With various other errands (post office, hardware store) we ended up getting back home around 6 pm, and that’s when my working day started again — until about 11 pm. It was one of those unconventional but full days that we seem to have frequently when on the road. Another mostly sunny day in dry Denver. The humidity continues to linger below 30%, sometimes as low as 17%, so we are sucking up water at a tremendous rate, despite the cool air. I went for a bike ride the other day (and was reminded about how the altitude makes little hills into big ones), and wiped out 16 oz of water in a short 10-mile ride around the Cherry Creek Dam. My advance copies of the Airstream Life Fall 2005 issue have arrived, so yours should be in the mail now. I hope you like the new 80-page format and “perfect bound” spine! I’m heading over to Fred Coldwell’s house today to pick mine up. They came in FedEx and I couldn’t receive a FedEx shipment here at the campground. Another bit of good news for vintage Airstream nuts: The VAP, Episode 4 is now available for download at www.thevap.com. I’m not on this episode but go ahead and listen to it anyway! Something’s up with Emma. She was clearing her throat all last night and she’s still sleeping now — 13 hours after she went to bed. I’m holding out hope that she’ll fight it off. But she might have picked up a bug at the Aquarium on Tuesday. We’ve made our plans for the next week. Check the Schedule page to see where we are planning to be. If you live along our route, let me know so we can meet up. If you can meet us in Eugene OR that would be great, because we’ll have free stuff to give away there, including some cool Airstream stickers, free samples of Airstream Life magazine, and other goodies. Plus, Eleanor and I want to meet you! Home-schooling while on the road gives a whole new meaning to the term live and learn. Wherever we are, Rich and I try to make it a learning experience for Emma and ourselves. We visit local attractions and learn about local customs and people. We go to museums and parks, attend fairs and flea markets, visit the local library for different books, a story hour, and great people interaction. We always search out farmers markets and the local eateries ““ not the chains ““ to get the best of the local flavors. Sunday, for lunch, we went to a Mexican restaurant and had a wonderful meal. We were very obviously the tourists in this eatery. 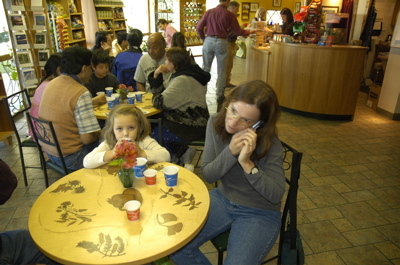 It was packed with locals, the children of the owners and staff were there, playing among the tables. Not a word of English was heard except from our table. It was great. After lunch, we went to the Children’s Museum of Denver. It’s completely hands on. Emma got to be a fireman and learn about fire safety, she and Rich were carpenters and learned something new about recycling in the process. 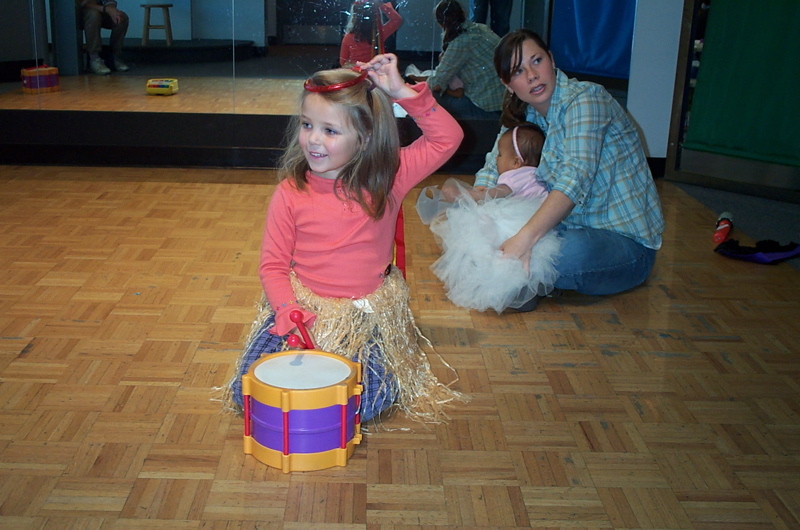 There was a stage area where Emma dressed up, did a dance and played a toy drum. After the museum, we played outside at the playground and Emma made a new friend for an hour. 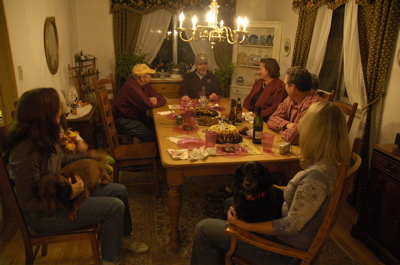 Then it was off to a friend’s house for a homemade lasagna dinner and some great company. Yesterday, we went to a candy shop and there was candy shaped and look like ornaments for your tree. And also there was a taste testing place where you could taste a piece of candy. And there was hundreds of candies. It was so awesome. Mom even found some candies for her coffee. We missed the tour to see how they make candy.